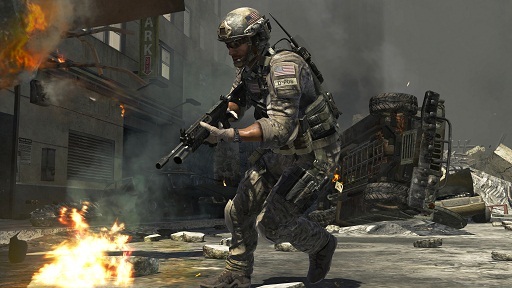 Activision has just announced a Call of Duty subscription service called Call of Duty Elite. I think Activision are missing a trick, and a fundamental shift in how the media industry has worked. Last year, I put a Call of Duty subscription service in my list of “Ten Games Business that are doomed”. I was really talking about the difficulties of converting Call of Duty to an MMO, and Activision seems to be going for a halfway house here. It will be fascinating to see if they can carry out Bobby Kotick’s desire to turn his second major franchise into a subscription service. Since that point, a lot of data has emerged to show the true pattern of how users spend money on their favourite games. The key is in giving people maximum access to your content, and then segmenting those who love what you do, and giving them the opportunity to spend a lot of money on it for things that they value. Activision are ignoring the free aspect. I expect future Call of Duty games still to come out at full price. After all, if a franchise has generated $3 billion in sales in the past eight years, you would be a very brave executive who threw that revenue stream away. On the other hand, the businesses that really scale in free-to-play are those that enable users to spend a *lot* of money each month: tens, hundreds, even thousands of dollars. Activision is capping its additional revenue at $7.99 or less per month. In reality, the conversion rate could be anything from 1% ($19 million) to 30% ($576 million). You’d take the punt for that kind of money, wouldn’t you? I still think they could have made more money from free-to-play. If they had allowed users to spend on status items, on personalisation, on progress, on trading time for money, they would be moving much further up the power law curve than $192 million. So here’s what I think will happen. Call of Duty will continue to be a retail blockbuster (see The future of the games industry: it’s in three parts). The subscription will be an add-on, but in the next three years won’t come close to the billion dollar annual revenues from World of Warcraft. I think Activision missed an opportunity by focusing on the subscription, not the microtransaction model. It shows old media thinking, not new media thinking. But for $200 million a year, maybe that’s OK.